No matter what Google says, you can’t successfully rank your web pages in Google’s organic listings without inbound links (or backlinks). You might have the best website in the world, but your ideal customers don’t care unless they can easily find it in Google. This year, and in the years to come, there is one thing that digital marketers can’t live without — and that’s link building. 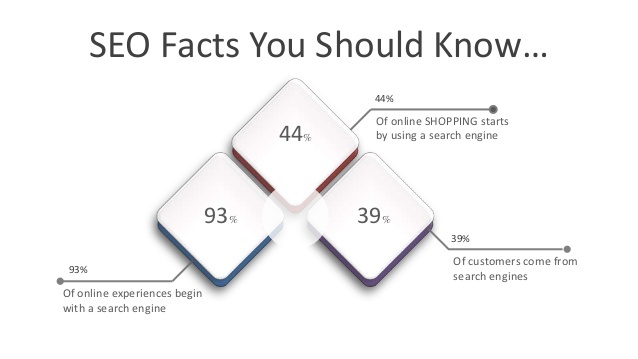 Since 93% of online experiences begin with a search engine query and 44% of online shopping starts by using a search engine, a business that ignores link building will not be found in the search results. It’s that simple. Yes, an aged website needs to garner some links as much as a new website. However, there are other aspects of earning natural links we need to consider — this would make it a lot easier to get the results that we want at the end of the day. And to help you If you’re struggling to improve your organic search rankings, you can use these 35 tactics to drive your link building strategy in 2017. Google has a way of gauging quality content. When someone searches for say, “baby boy names,” Google will try to figure out what the meta keyword is about — as well as the intent behind the search term. 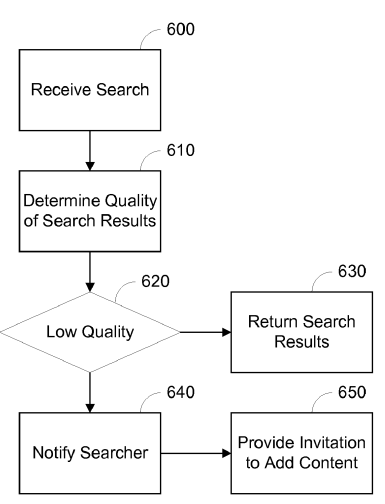 This initial search, therefore, triggers a flowchart that Google uses to determine content quality putting a lot of factors into consideration. To a large extent, the user activity on a page is what helps Google to judge whether a content page is useful or not. So, you’ll agree with me that quality content is relative. Because what you regard as a quality factor may not be what I’m after. The best approach is to create comprehensive content — content that answers the most common questions for any given topic. For example, if you’re planning to write a blog post about “lead magnets,” then, make sure you cover everything including what lead magnets are — when to use them, what they’re good for, types of lead magnets, how to create one, and more. Got the picture? Comprehensive content is rich, helpful, engaging, actionable, data-driven, and well-formatted. It’s one of the basic ingredients of link building. Remember that people don’t actually link out to a domain name, but rather, to the content page itself. Great content means more backlinks. 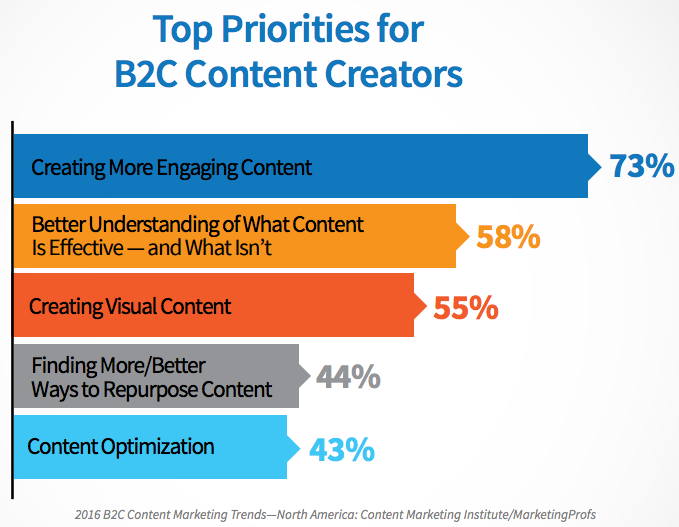 This is the reason why the top priority of 73% of B2C content creators is to create more engaging content. 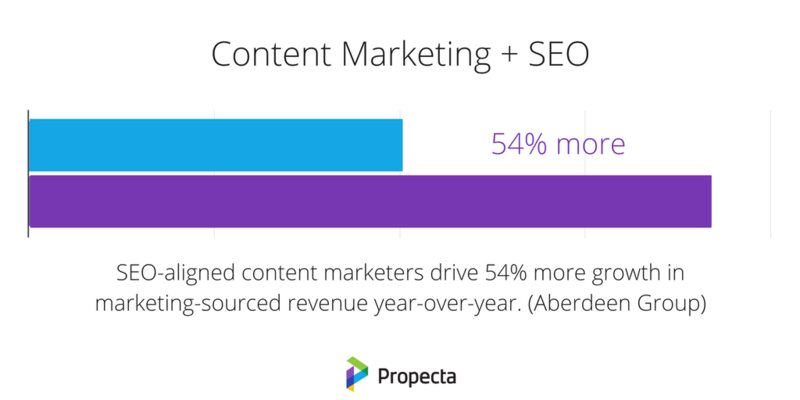 It was found that SEO-aligned content marketers drive as much as 54% more growth and revenue as compared to their counterparts. Create valuable content to attract backlinks. 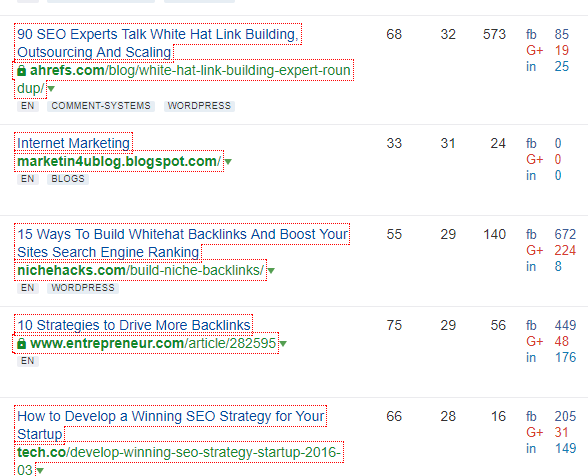 This is the strategy that Neil Patel to acquire thousands of backlinks and to drive 600,000+ search visitors to his blog. His primary focus is on producing long-form, valuable, and actionable content that hooks the readers. In return, he gets tons of links naturally. Blog posts are not the only linkable asset that you can use, there are other types of content that help you acquire new links quickly. These include infographics, videos, graphics, vectors, free tools, PDFs, guides, and other types of assets. 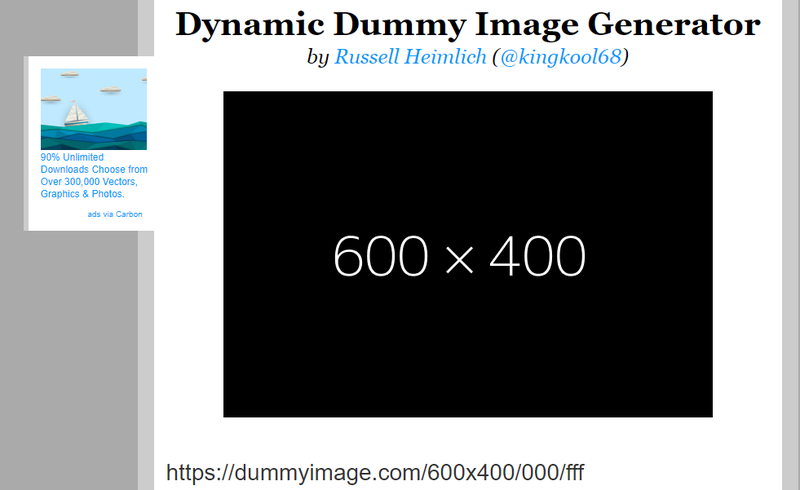 Dummy Image is a nice example. It’s a free tool for designers that lets them create dummy images. Guess how many backlinks this useful asset has? It has over 25K backlinks from 1.48K domains. Any asset that is helpful and valuable, will acquire backlinks naturally and there isn’t any better link building tactic than having lots of link-worthy assets. Infographics are irresistible asset that you can create for the purpose of creating brand awareness and earning quality links in return. The demand for infographics has increased by 800% in just 2 years. That’s crazy! Creating infographics and promoting them is an awesome link building tactic. It’s still one of the best tactics that generated 2,512,596 visitors and 41,142 backlinks for KISSmetrics (source). Create a unique, valuable, and data-driven infographic on your primary topic. Find websites, bloggers, and webmasters who post regularly about the topic of your infographic. Reach out to them and show them your infographic. Send them a customized short guest post with a backlink to your website. You get exposure and a free backlink. It works. Brian generated hundreds of backlinks from different domains using this technique. Do you know who coined the term Guestographic and Skyscraper Technique? Your guess is as good as mine. Yes, Brian Dean did. This is yet another link building tactic that will help you acquire backlinks at scale. The term Guestographic has 1980 results in Google and all of these pages link to Brian’s post where he coined and introduced the term. This includes backlinks from sites like Entrepreneur, Tech.co, Ahrefs, and several authority sites. However, simply coining a new term or a word won’t help you generate backlinks, instead, you need to promote it and must show it to influencers who will then start using it in conversations and posts. Results might not be instant but they will be worth your time and resources. Not all guest posts are created equal. Did you also know there’s a better way to approach guest posting that multiplies the effect of every single post? Here’s what you should do: Contribute to authority blogs that syndicate their posts across several social, web 2.0, and news platforms. 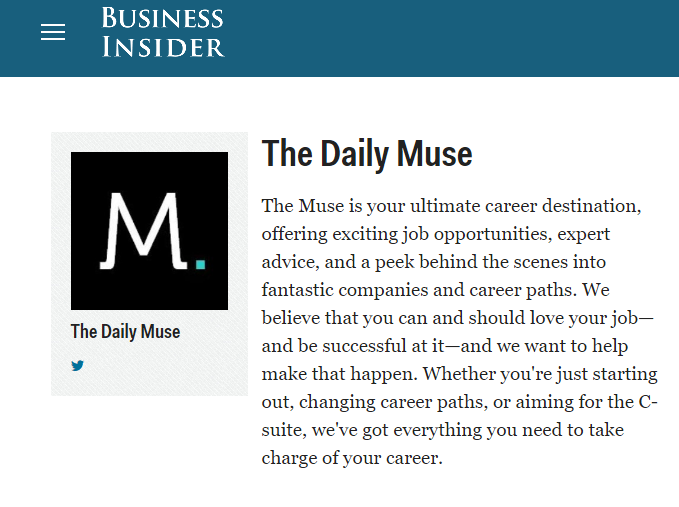 For instance, The Muse, it syndicates its content on some of the best media websites out there like Mashable, Inc, Business Insider, and others. Your time is limited. So make good use of it. Instead of guest posting on any damn blog, why not guest post on a blog that syndicates its content so that you can get the additional brand awareness, traffic, and more inbound links? Most of the syndication networks publish the author bio. If you have a link to your website in your bio, you’ll get a backlink from that website too. Think about it in terms of building relationships and brand awareness. Even if you don’t get a backlink from any other website — you’ll still get credit when your guest post is shared on social media — more so, it’s an additional social signal. Scoop.It is a great place to build relationships that help acquire backlinks and generate guest posting opportunities. This is one tactic that most businesses don’t use. It’s an aggregation network where people syndicate and collect content from around the web. You get a no-follow link from Scoop.It. Though nofollow links don’t have any direct impact on your search rankings, they’re responsible for website traffic. So, Scoop.It isn’t really a link building site. You don’t have to use it to build links instead use it to build relationships with bloggers and to promote your content and link-worthy assets. Suggest your best content to pages having decent followers. As soon as your suggested content is accepted by the page owner, it will be viewable to all of their followers and that’s where you’ll see the buzz. Even if a couple people find your content on Scoop.It and link to it, it’s worth it. Not to mention the brand awareness and further link building opportunities. Scoop.It isn’t a quick fix. It can’t do anything if your content if you didn’t over tremendous value. Sometimes, you have to deliver a lot more value than your competitors. 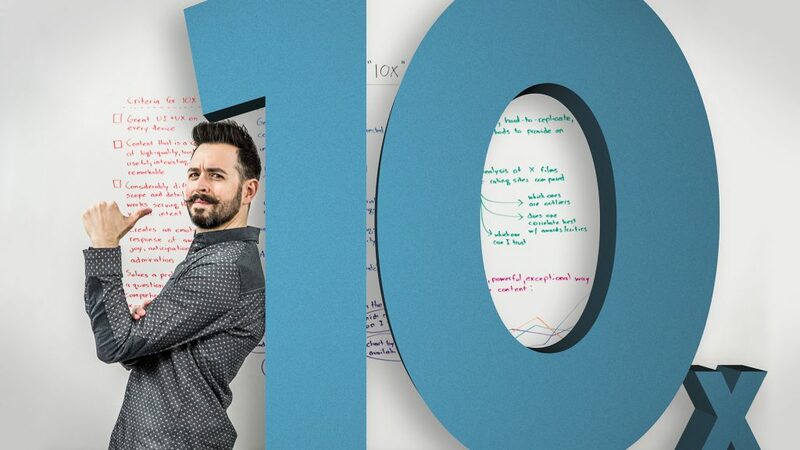 Most recently, the number one rule (not a fast one) of link building is to have 10X better content on your website than what’s anywhere out there. This illustration will guide you. Can you recall: I mentioned earlier that you should create comprehensive content. 10X content is what I had in mind. Understand and study your topic and the anatomy of what type of content people like and why. Come up with a unique angle on the subject that has never been discussed in the past. Provide an answer in a way that’s hard to replicate. Present content in a unique and exceptional way. What happens when you create this type of content? You’ll increase your chances of generating better and more backlinks on a consistent basis. You don’t have to tell people to link to your content. You’ll not have to tell people why your content is better. You’ll not have to beg for backlinks. It all comes naturally — your way. Skyscraper Technique swept the SEO world like an angry storm. SEOs, bloggers, podcasters, public speakers, course creators, and all manner of digital marketers embraced it. 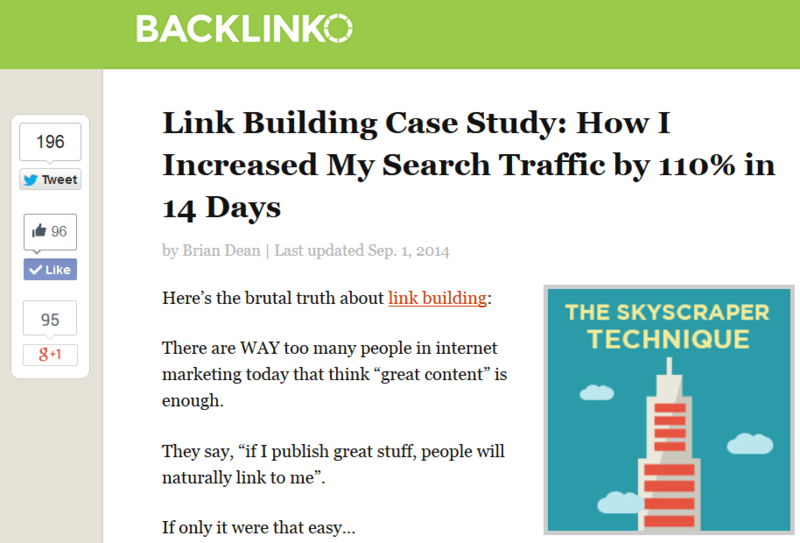 It’s a backlink generation tactic introduced by Brian Dean. Does it work? Well, Brian used the same to boost search traffic by 110% in 14 days. Find link-worthy content that has already proven to be the best. Make your content better than the best content out there. Show your content to the people who have linked to similar content in the past. This is one nice link building technique that works for all types of niches. One important feature of this technique is that you have to reach out to the right people to acquire backlinks. In reality, the content itself no matter how much time you spent researching and creating it will not drive traffic and backlinks handsfree — you have to trigger the initial promotion and continually expose it to the right audience. 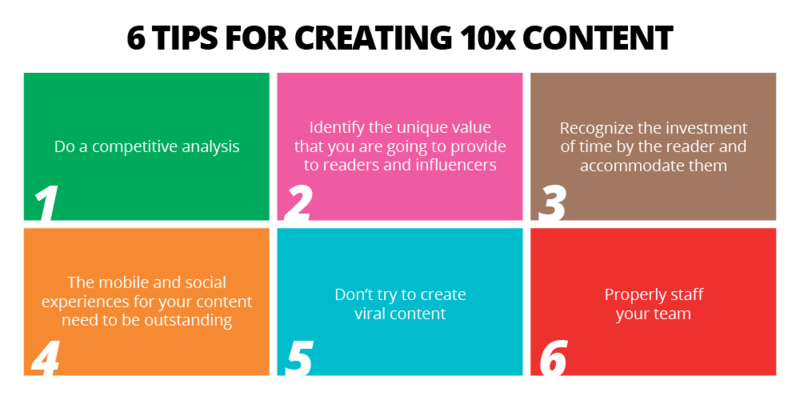 Often times, the first step that you have to take after creating a 10x content or creating awesome content using the Skyscraper technique is to reach out to influencers who will link to your content. Google will never penalize you for these types of backlinks. I don’t see any data that shows otherwise. When you reach out to influencers for backlinks, you don’t just get a backlink but you build relationships that go a long way. Groove generated 1000+ subscribers from a single blog post in 24 hours with influencers. 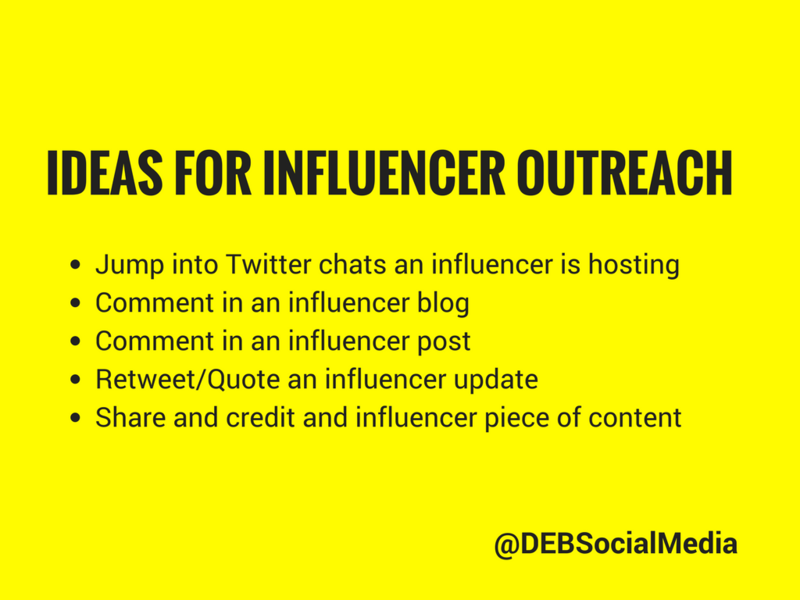 They used the following checklist before reaching out to the influencers. This resulted in a whopping 85% response rate. Why not give it a shot? How often do you repurpose your content? If you spend weeks to create a killer article that stands out from the crowd and you don’t repurpose it, you’re underutilizing your content and wasting resources. Convert content into guides, PDFs, videos, images, infographics, whitepapers, podcasts, email series, online courses, case studies, social media posts, and other forms to reach a new audience and to acquire backlinks by distributing new forms of content on new platforms. Benjamin Hardy generated almost 20,000 subscribers from Medium in under 6 months with the help of content repurposing. He did nothing special. He simply copy-pasted his blog posts on Medium with a backlink to his blog. Always repurpose content to acquire backlinks from resources you’ve never imagined. One of the easiest ways to acquire backlinks from EDU sites is to create a scholarship cause and promote it. 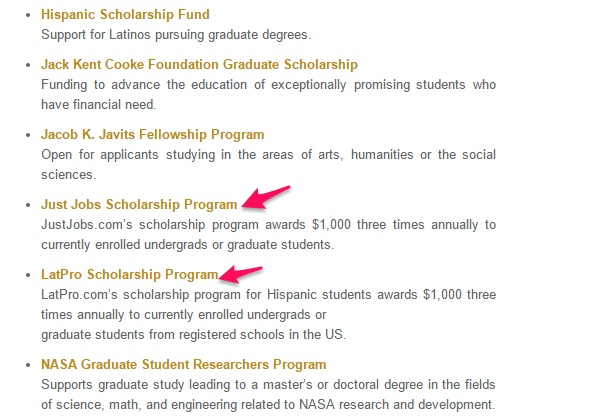 Create a customized scholarship page on your website with proper details and requirements. Reach out to universities and tell them about your scholarship. 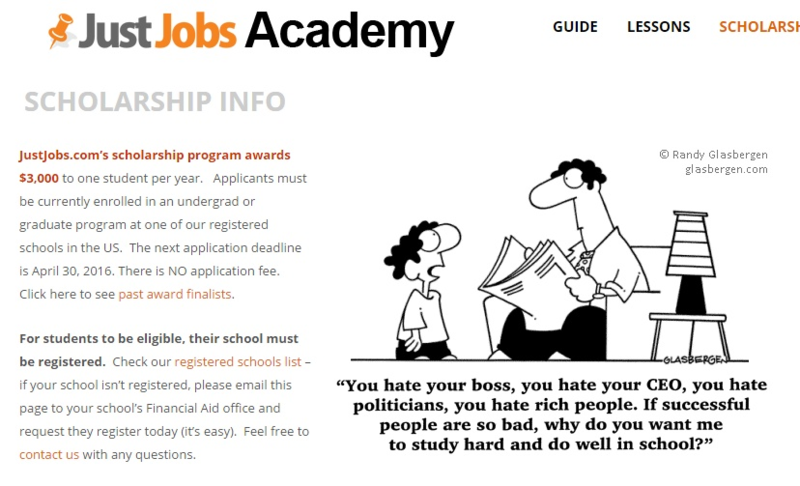 Here’s an example scholarship page. This is the type of backlink you should expect in return. Note: This is still under-utilized in the digital marketing space. So, it’s a great opportunity for you to create a scholarship program, promote it, and earn natural backlinks from the most trusted domain names in the world — educational websites (i.e., .edu extensions). Every brand mention is a backlink opportunity. Find all unlinked mentions of your brand and then send an email to the webmaster to add a link to your website. The challenging part is finding all the unlinked mentions. You can seek help from tools like Mention or BuzzSumo. You can also use Google Alerts for your brand name and URL so that when someone mentions your brand, you get notified via email. Send an email to add your link for all the unlinked mentions. You’ll get backlinks in most of the cases because adding a backlink to your website will help the readers of the host blog too. An unlinked brand mention is not helpful for readers because they have to copy the name or type it in their browser. These are the easiest links you can acquire. Content curation is the process of finding, organizing, and representing content on a certain topic. 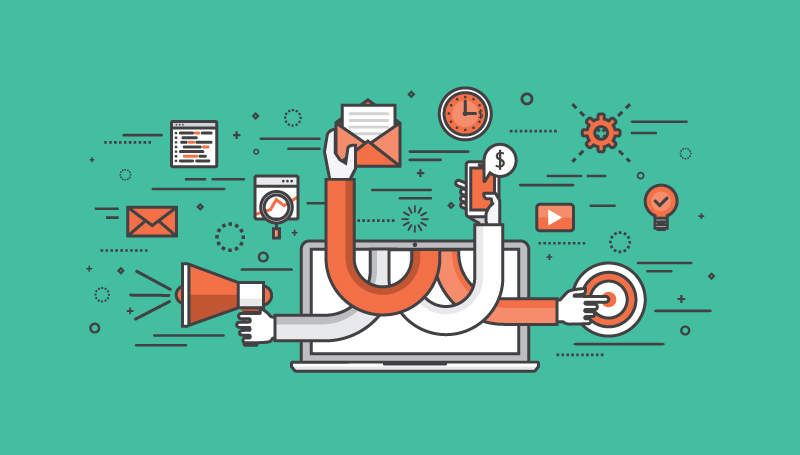 Content curation, with all its benefits, can help you acquire backlinks and there are websites that use content curation solely as a link building tactic. When you link out to other relevant sites, you build relationships. If you’ll link to a particular content page several times, there are fair enough chances that the same website will link back to you. This is called reciprocal effect or reciprocity. Does content creation work? Sure, it does. But don’t take my word for it. There are results already. For example, Winnipeg Home Finder used content creation tactic to increase online visibility and acquire more targeted leads. Here’s a smart way to take your content curation to the next level and build lots of backlinks. Whenever you quote, link to, or talk about an influencer or a website, send an email and tell them that you’ve linked to or have talked about them. 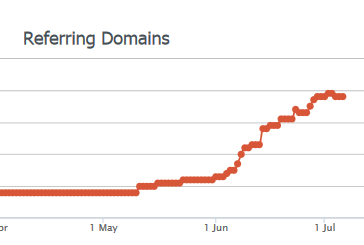 This increases the chances of getting backlinks in return. You also build a strong rapport with webmasters, bloggers, and influencers that will help you in several other ways. I have talked a lot about building relationships with fellow bloggers and influencers, this link building tactic is the practical application of using your relationships. Interview influencers and fellow bloggers and publish it on your blog. Truth be told, you can’t interview Fishkin if he doesn’t know you – no matter how many emails you send. So to do interviews, the first rule is to build relationships. 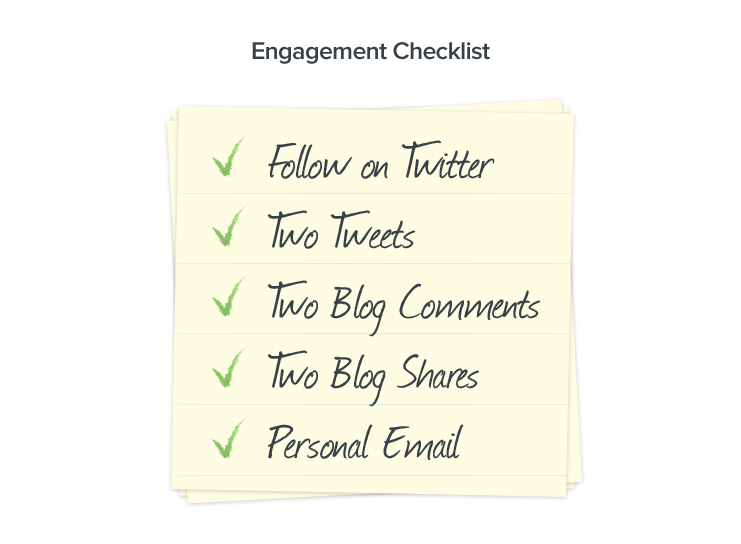 Recall Groove’s engagement checklist. The real benefit of doing interviews is that you get backlinks and organic traffic. Fishkin must have shared his interview on BruceClay with his followers. This is what happens when you build a relationship with an influencer and then interview them. Interviewing an expert is not the only way to create a buzz, running a contest is another great way to create buzz, drive traffic, and acquire natural backlinks. Run a contest on your blog and promote it on Facebook, Instagram, Twitter, LinkedIn, SnapChat, and more. In fact, social media is what makes running a contest fulfilling and result-driven. 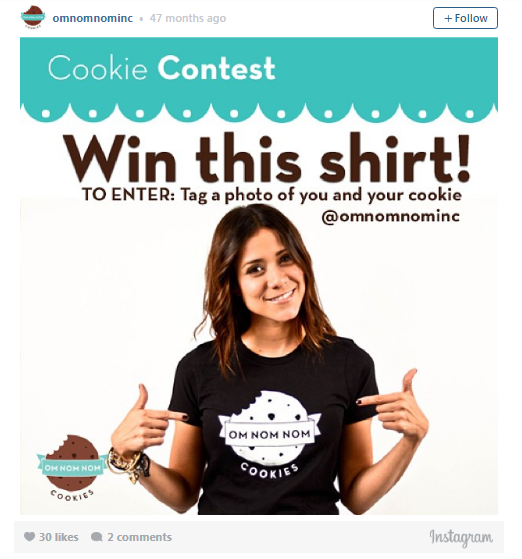 On Nom Nom Cookies, a boutique vegan cookie company hosted a contest, it was easy to enter, and they generated a lot of buzz for their brand, improved customer satisfaction, and saw a boost in sales. Contests are magical in terms of creating buzz and awareness. Reach out to fellow bloggers and let them know about your contest, and ask them to promote it. They can’t resist promoting it because it helps their audience too. Do you feel reluctant to ask for backlinks? You shouldn’t. In fact, you should ask your contacts, partners, suppliers, manufacturers, and friends to link to your website. Don’t hesitate when it comes to link building. Be open. Look for opportunities. Ask for it. If you ask for it, especially when you have a good-standing relationship with them, you’ll get the link love. Just try it. Businesses and service providers love testimonials. They love it when their customers write reviews. 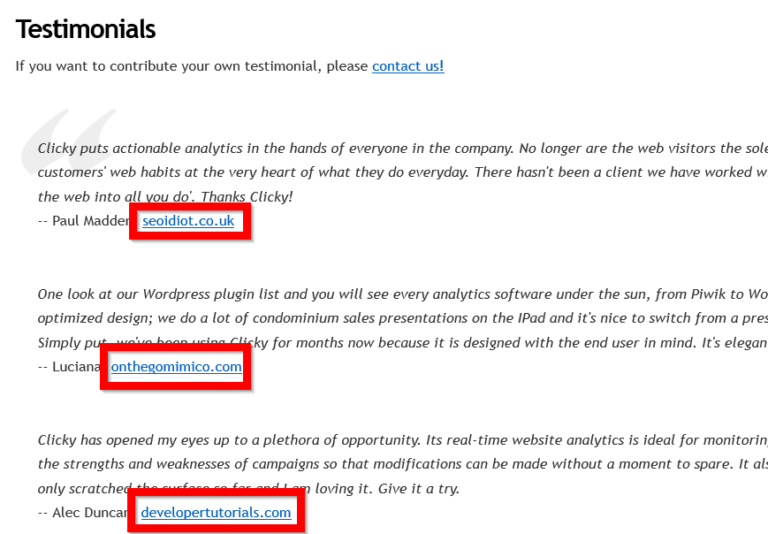 If you use a service or software, submit a testimonial for a backlink. For instance, if you purchased software, ask the company if they need an honest review from you? They won’t decline your request. When submitting a review, add a link to your website. This link building tactic is best in terms of cost and effort. It doesn’t cost you a penny and you can land a backlink from an authority site by writing a few lines. Don’t wait for the companies to contact you for a review — instead go a step further and ask them. Broken link building strategy is a cool way to generate high-quality inbound links to your resource pages. Ben Jackson generated 8 high-quality backlinks by sending 40 emails. Not bad. The reason why this tactic works like a charm is that you don’t beg for a backlink instead you help the webmaster by identifying a broken or dead link. To return the favor, most of them will gladly link to your content page that complements that broken URL. 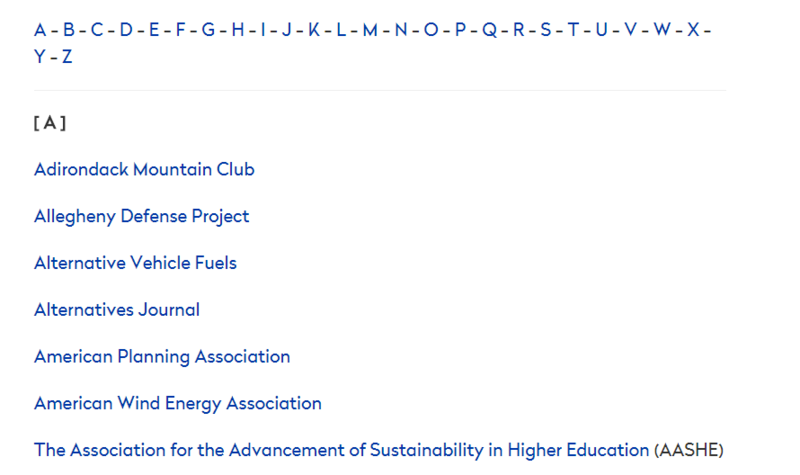 Search for resource pages around your preferred topic. If you’re interested in getting backlinks to a toy page, look for resource pages that link out to toy sites and stores. 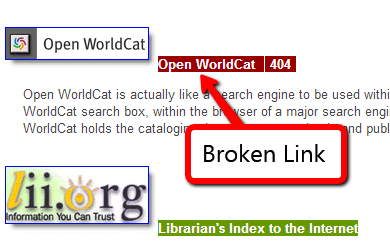 Install Check My Links Chrome Extension to identify broken links on these resource pages. Contact the webmaster and tell him about the broken links on the resource page. Send a link to your best content which is similar or better and ask for a replacement. Be polite when asking for a link. Since you helped the webmaster, the probability of getting a backlink is fairly high. While working on identifying broken links on resource pages, you’ll find a lot of resource pages without any broken links. Don’t close the window yet. Instead, send a customized email to the webmaster and ask to include your page. Most of the websites accept submissions. Your request will only be entertained if your website has the best content on the given topic. Recall 10x content and Skyscraper technique we discussed above. That’s the type of content that will persuade webmasters to add a link to your website on their resource page. Just like resource pages, there are ‘Best of’ posts that publish the best content on a specific topic. You’ll see lots of posts that list the best content on your preferred topic. Send an email to the webmasters/bloggers and show them your content in the same niche. Again, your content must be better than most of the ones on the resources page. Anything average won’t be entertained. Backlinks from question/answer websites are mostly no-follow but they mean a lot. Think of Quora. It’s more than a Q&A website. Similarly, Yahoo! Answers is another giant that I personally use to find quick answers to general questions. A simple question having 287 answers. Such Q&A websites are great at driving traffic, generating backlinks, building relationships and authority. Just like offering a scholarship, you can offer a job on your website to acquire backlinks. Unlike scholarships, this isn’t a very common link building tactic so don’t miss out on this. If you have to hire an employee or an intern, offer a job on your website. The next step is promoting it. Find job boards, job listings, and universities to promote your job. The University of Iowa has a dedicated recruiting system for employers and students. Here’s job post on Arizona State University. These are easy EDU links, right? Guess what, you can do the same for GOV sites too. Is your business eco-friendly? Is your business green-friendly? Does your brand support any green cause? If so, you can get backlinks for free from some of the best EDU, GOV, and nonprofit websites such as Fredonia. You have to find websites that list green businesses in your niche. For instance, if you’re a manufacturer of handmade shoes with a focus on green production, look for resource pages in the same niche. You won’t find too many but even if you find a couple, they will be worth it. Because you don’t just get a backlink instead you get referral traffic that’s targeted. People who prefer buying eco-friendly or green products search for businesses on such resources before making a purchase. 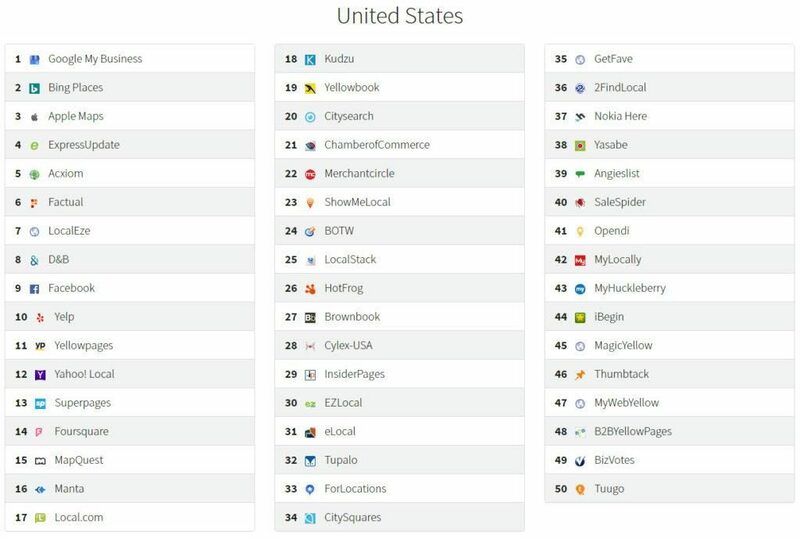 In other words, if your business is not listed on these sites, you’re losing customers. You should sponsor an event, a conference, a local match, or a webinar. It’s a powerful way to get word of mouth referrals, website visitors, and natural links. Sponsoring an event of any sort (of course, it must be legit) is a powerful link building tactic that will generate some of the best and helpful backlinks for your business. Though being a sponsor means you’ll end up investing money — so don’t do it just for the sake of backlinks. Of course, you can, if you have the budget. 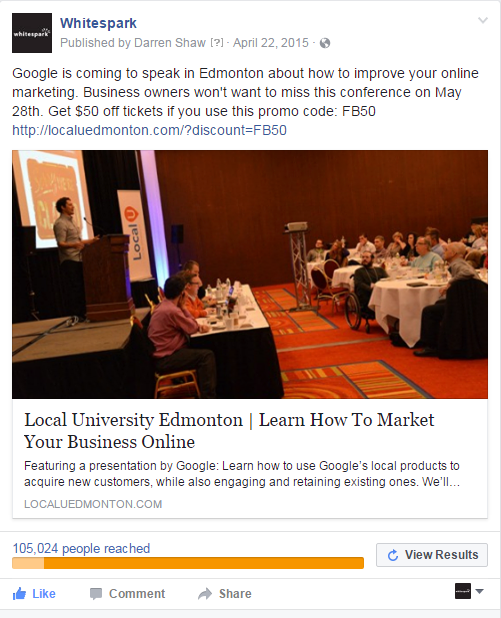 This link building tactic works great for local businesses as you’ll find lots of opportunities locally. Here’s a great query to find unsponsored groups on meetup. This is another unique tactic to acquire backlinks by making a small or even a premium donation. 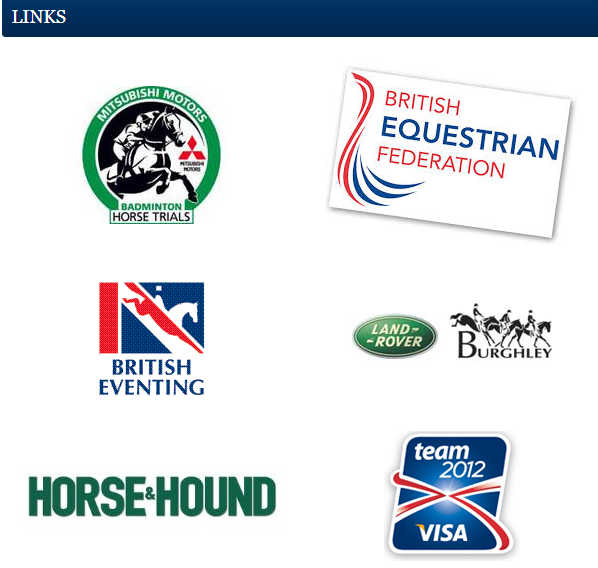 How’d you like to see your brand name on an authority website and getting a backlink from a DA 100 site, like this? You can use its variations to find appropriate websites. I receive a lot of emails from SaaS companies that offer me free access to their tool and in return, they ask to write a review for the same on my blog. It doesn’t matter what industry you’re in, you can always give away free stuff or samples or trials to bloggers and digital marketers, and ask them to write and publish a review on their blogs. This tactic will help you generate free backlinks that will drive sales. However, for this to work, your free stuff has to offer value to people. Don’t just package a crappy product for giveaway purposes — You’ll flop. This is one of the most powerful link building tactics that you’ll ever use. I love it. A post like this that compiles statistics from around the web and puts them into a single post is sure to get lots of backlinks naturally. Anyone who will run a search query for stats, statistics, numbers, etc., will land on this page. More importantly, anyone who uses a statistic or study from your page will link to it. But this is just the first phase. Think of notifying all those webmasters you’ve linked to in your post? Most of them will link to your list because it is featuring their statistic or case study. Generally, statistics compilation posts are found to be interesting and are mostly searched by bloggers when they’re looking for statistics on a particular topic of interest. So they’re more likely to link to your post/page. Help a Reporter Out (HARO) is a great resource to acquire backlinks from authority news sites. It works. 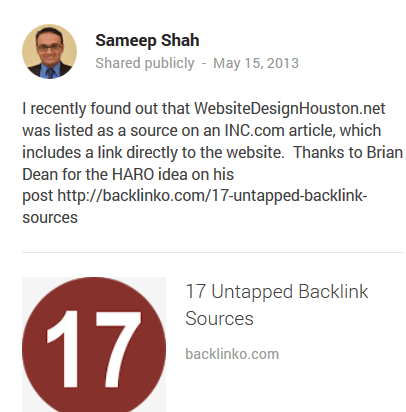 Sameep Shah got a link from Inc, by using HARO. To get started, you have to sign up as a source on HARO. Update details so that you can receive relevant emails. You’ll receive emails from reporters with requirements. Respond to appropriate requests and you’ll continue to acquire backlinks from some of the best news sites out there. You have to do it consistently because these reporters receive hundreds of responses every day. Stick to it and keep responding. Some bloggers post links to recent articles from fellow bloggers. You have to find blogs that post link roundup or blog roundup. Here are a few queries to help you get started. Sending your blog to the blogger for inclusion will never work, instead, you have to build a relationship with all these bloggers. GrooveHQ engagement checklist will come handy. Once the blogger knows you, you might not have to ask for a link because, in most cases, you’ll get a link from the roundup automatically as soon as you move to in-group of the blogger. Links from roundups are purely based on your relationship. This is one of the many ways your relationship and connections help you generate backlinks. Come up with your own unique and original research and publish it on your blog. Analyzing a million pages and posting your results will definitely get you lots of backlinks. How about analyzing a million articles? If you achieved something remarkable, you can write on that. How about writing an article on how you lost 10 pounds? Anything that’s backed by research and data and is not merely a theory, gets all the love from influencers and webmasters. It gets easier to promote this type of content and acquire backlinks. This type of content is helpful, unique, and rare. Is your business listed on citation websites with backlinks? Most businesses don’t bother to earn links from citations, but they’re exceptionally powerful and free. If you haven’t listed your website yet, better get it listed on some of the top citation websites. The best technique is to do these citations in-house so as to maintain quality because citations are ranked in search results. If you don’t have the time, hire someone to do local citations for your business. These are free backlinks that you should never miss. A blog aggregator like Alltop lists all the blogs across different niches and industries. When you submit your blog to an aggregator, you’ll get a free backlink. Here is a list of popular blog aggregators where you can submit your website for free backlinks. Most of these blog aggregators syndicate posts too. So you’ll not just get a backlink to your homepage but to every new blog post that you publish. How about if you host an event for backlinks and brand awareness? You can host any kind of event that goes well with your business strategy. Hosting an event isn’t the deal rather promoting your event for backlinks is the deal here. The best events are ones that are conducted for businesses because this makes it easier to acquire backlinks because businesses have websites and they’re more likely to post it on their website. List your event on these leading event sites to reach a wider audience. You need some help. You can’t afford to build thousands of links all by yourself. It’s not the best way forward. Hiring an expert link builder or an SEO agency is, often times, the best approach to link building. Though you must be sure that you’re not hiring link spammers. Most experts know what works and what doesn’t. They have the resources, tools, expertise, and know all the latest link building tactics that work. Consider hiring an expert if that suits your marketing strategy and budget. More so, if you don’t enjoy building links, there are professionals out there who love it. — you must be prepared to face them head-on, overcome them, and build a thriving business. You need a thick skin to build a successful online business no matter the model or niche you’re into. There’s no easy way out. It’s hard work, but the results will make you smile to the bank every month.